Finally we get some more new music from one of the finest bands from any planet anywhere in the known universe, this time released on the Jazz Village label instead of their usual Seventh Records (as was the Rïah Sahïltaahk re-recording, reviewed here a couple weeks ago). The official description of Slag Tanz says that it’s a “...masterpiece of symphonic metal...” Symphonic Metal ?!?! Gimme a break. 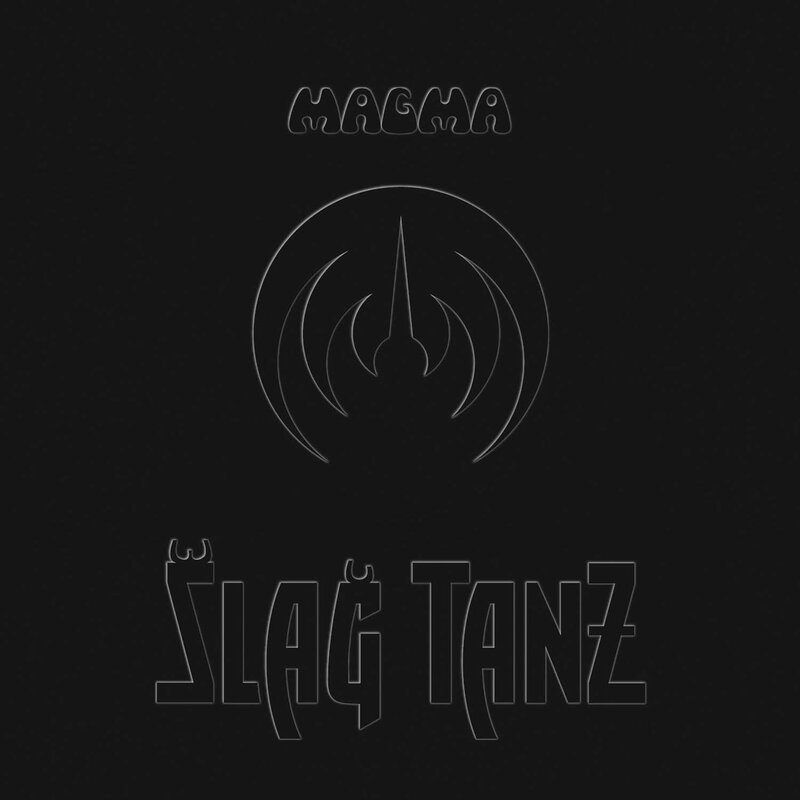 This is classic Magma: intense and hypnotic cosmic jazz of the highest order, bristling with power and lush vocal arrangements that suit the pace of the music perfectly – not unlike recent studio releases like Féliceté Thösz, or classic material like Köhntarkösz or the 1975 live album Hhai. The crew for this flight includes drummer, vocalist and bandleader Christian Vander, longtime members Isabelle Feuillebois and Stella Vander on vocals, along with vocalist Hervé Aknin, bassist Philippe Bussonnet, guitarist James Mac Gaw, Jérémie Ternoy on piano and Fender Rhodes, and vibraphonist Benoît Alziary, which is nearly the same as the recent live performance of this piece on the Mythes et Légendes Epok V DVD from 2013 – Ternoy replaces previous keyboardist Bruno Ruder, which explains the similarities between the two versions, this one clocking in at a few more minutes (nearly 21 minutes) for some great additional bass and drum interplay. This is the classic Magma style beginning to end, with the ever throbbing bass, menacing progressions, manic but meticulously arranged interlocking vocals, and the blistering intensities alternating with gentle repose led by the ever-changing pace set by Vander’s drumming. The liner notes list eight distinct movements (and there are eight index points as the disc plays), but there are no breaks between any of them, so it’s really just one continuous piece as far as a listener is concerned. For the long time fan, this is about all one could hope for in a new Magma studio release; for anyone who has never heard the band (is there anyone out there? ), this would be a fine place to start. Now available on LP also.